Car and Driver points out that the available sunroof adds nearly 100 pounds to the CTS’s curb weight—enough to make a difference in a number of ways. Also, if you plan to take your CTS to the track but are disappointed with the lack of F1-style paddle shifters, they’re on the way for 2009. The new CTS can keep up with Mercedes and BMW competitors without mimicking them, and boasts some of the top tech features in its class. The Cadillac CTS is a sport sedan introduced in the 2003 model year. This year gets thoroughly revised exterior styling and an entirely new interior, along with a new 3.6-liter V-6 with direct injection and 304 hp. A lower-output, 263-hp version of the same engine remains an option, and all-wheel drive is newly available across the lineup. As part of its completely revamped interior, which boasts high-quality upholstery and trim a step better than those usually found in this class, the CTS now offers an interface that can record radio broadcasts or import CDs. Navigation now has XM NavTraffic real-time traffic data. GM didn’t try to copy anyone with the 2008 Cadillac CTS and has created a uniquely American sport sedan. Most reviewers applauded the 2008 Cadillac CTS's new look, even though the exterior is carried over mostly unchanged in overall form. "Beautifully executed," says ForbesAutos. 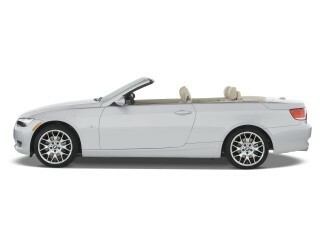 They say the car has a "charismatic glow" that gathers "positive attention." There's an almost excessive amount of design detail in the front and rear ends, though, and not everyone was wild about it. Cars.com said it "can come off as a bit busy." Others suggested the tall grille may not be to everyone's taste. The interior is more of a subject of controversy. Several reviewers pointed out that the 2008 Cadillac CTS's form makes it a bit of a fashion victim, as its thick rear pillars and roofline obstructed the view and confined trunk access and rear-seat space. Yet several other reviewers said nearly the opposite. Car and Driver noted that "even with a steeply raked rear window, the CTS offers a much larger and usable back seat,"especially when compared with the smaller cars it competes with price-wise. Up close, reviewers were split over whether the interior was too flashy and flamboyant to be effective. Kelley Blue Book said the interior's has "cheerfully luxurious design"and says "every control was easy to see, find and operate." TheCarConnection.com especially appreciates the new 2008 Cadillac CTS's exterior appearance, The interior is attractive, but still might not agree with all luxury buyers' tastes--such as those looking for styling like that of German luxury sedans. While its styling may elicit love-it-or-hate-it remarks, the new CTS breaks the very conservative mold that compact sport sedans are expected to stay within. The 2008 Cadillac CTS might not quite have the straight-line acceleration of rival sport sedans, but it might just outdo them in the corners. The 2008 Cadillac CTS's performance didn't disappoint any of the reviews we read, and reviewers were positively beaming about the CTS's handling. 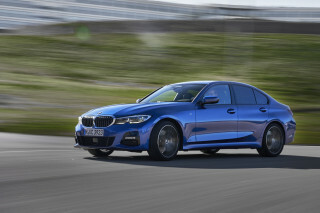 It "drives like a proper BMW rival,"said Motor Trend, while Car and Driver found it more comfortable than similar Infiniti and BMW sport sedans. ForbesAutos found lots to commend in the CTS' road manners and crisp steering and called it predictable and forgiving at the limits of grip. Edmunds tested a CTS with a high-performance FE3 suspension, with a package including 18-inch wheels and Michelin Pilot Sport PS2 summer tires. They point out the same tires are fitted to some Porsches, and the treads impart a lot of the CTS' excellent handling, and contribute to very short braking distances. Even with the top 304-hp engine, the 2008 CTS is slower than rivals, reported Edmunds, thanks to 300 extra pounds of curb weight. ForbesAutos.com says the Cadillac doesn't "bubble with enthusiasm" but finds it "delivers more than enough energy." A number of reviewers also noted that Cadillac recommends premium fuel the direct-injection engine. 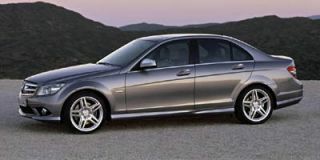 ConsumerGuide tested both 3.6-liter engines and found that the direct injection engine turned in much better fuel economy. 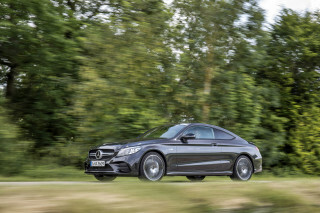 Testers unanimously liked the 6-speed automatic. They liked its smooth shifting and quick reactions. Car and Driver reports the Sport setting is good for "aggressively downshifting under braking." CNET confirmed the automatic downshifts based on hard braking in corners, which makes it a joy to drive on the track. Car and Driver also tested the six-speed manual transmission but said that abrupt shift action, an abruptly engaging clutch pedal, and a high center console all detracted from the experience, and said that "even with a new shift linkage for shorter throws, the manual isn't nearly as fluid as those from BMW." Quite possibly the best-assembled GM car ever, the 2008 Cadillac CTS has as much refinement and polish as German luxury sedans. The 2008 Cadillac CTS gets high marks in safety, but so do most of the competitors in this class. The 2008 Cadillac CTS failed to get the top five-star rating in the federal government's frontal crash test but emerged from all other tests with flying colors. It has all the safety features of most other cars in its class, including electronic stability control, anti-lock brakes, side curtain airbags, and front side airbags. The only thing that some vehicles in its price range have but the CTS doesn't is rear side airbags. The 2008 Cadillac CTS can be packed with leading-edge, gee-whiz features, yet depending on your size and needs, it might not deliver on the basics. 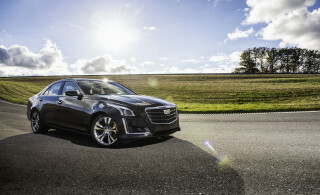 All-wheel drive is a new feature in the CTS. ForbesAuto says that makes the sedan more competitive, as AWD is a "must-have" in northern states. Most reviews discussed the CTS' navigation system and surround-sound. Edmunds commended the real-time traffic data supplied with satellite radio, and called it one of the most useful features. Many reviewers like the CTS' audio system, which lets owners upload CDs and store them into the vehicle's memory. The available sound system upgrade adds a USB port and the ability to record snippets of over-the-air music--up to 60 minutes' worth--which makes it the in-car equivalent of TiVo. However, the CTS doesn't have Bluetooth, and CNET took it to task for that. It can be added by dealers as an accessory, but it lives on a sun visor. Taking a close look at interior features, the ForbesAutos.com reviewer asked, "Why are the door pockets so small? Why is the manual-mode shift gate for the automatic toward the passenger's thigh rather than the driver's? Why are there no shift paddles on the steering wheel?" Conclusion The 2008 Cadillac CTS can be packed with leading-edge, gee-whiz features, yet depending on your size and needs, it might not deliver on the basics. 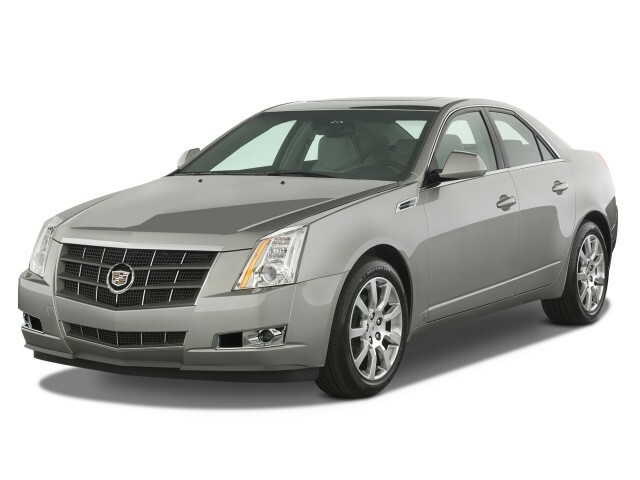 Redsigned in 2008, the CTS is a sharp looking, eager car. I would have given the highest rating for "exterior/interior" if not for a few considerable shortcomings: the seats are too minimalist. At 6 ft 195lbs... Redsigned in 2008, the CTS is a sharp looking, eager car. I would have given the highest rating for "exterior/interior" if not for a few considerable shortcomings: the seats are too minimalist. At 6 ft 195lbs I find it difficult to find the just right comfort. Although the seats have a great range of motion forward an aft the thigh support is too little, and the side bolsters are inadequate when pushing the car out of on ramp curves...in addition - the placement of the AC vents is mistake in engineering...you cannot adjust the vents upward enough to really cool the space above the dash and the vent at the driver's inside hits right on the hand...But exterior design I rate as 5...love the sharp curves and the mist Gold color seems to be chameleon like...changing hues as the light changes ...It is a looker. Performance is terrific for my base CTS...acceleration is smooth and response when you want to get on it is exciting. I am disappointed in the Bose stereo. Not enough base, and the sound seems to come predominantly from the front speakers...and fade adjustment seems to do little to improve it.